WASHINGTON (Reuters) - Two U.S. lawmakers on Wednesday unveiled a new bill that would force enforcement agencies to provide more details about deals to resolve corporate misconduct by U.S. companies. 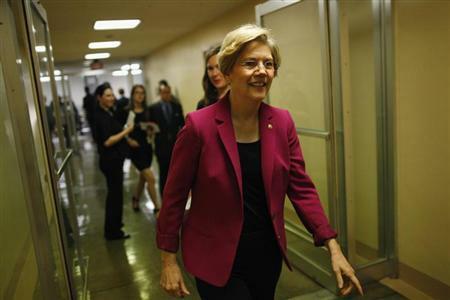 Senators Elizabeth Warren, the Massachusetts Democrat and a fierce consumer advocate, and Tom Coburn, a Republican from Oklahoma, introduced legislation they said would force regulators to better explain the true value of those legal settlements. Some lawmakers have complained that federal officials tout large dollar figures when they settle accusations of wrongdoing by financial firms and other companies, but sometimes do not provide key details of the charges. Settlements allow the companies to avoid trials, which the lawmakers say also prevents a full airing of the facts. When the Justice Department announced a $13 billion deal with JPMorgan Chase & Co. in November that included a $2 billion penalty to resolve a civil fraud investigation into flawed mortgage bonds, for example, it did not lay out the specific charges or explain how that penalty was calculated. It did release a "statement of facts" that described some of the bank's harmful conduct. "When government agencies reach settlements with companies that break the law, they should disclose the terms of those deals to the public," Warren said in a statement. "Increased transparency will shut down backroom deal-making and ensure that Congress, citizens and watchdog groups can hold regulatory agencies accountable," she said. Both Warren and Coburn are members of the Senate Banking Committee. Coburn also serves as ranking member of the Homeland Security and Governmental Affairs Committee. The bill would require federal agencies to explain whether any portion of a settlement is tax deductible and to publish other details of the agreements, including the claims settled and how payments were classified. The bill applies to any settlements larger than $1 million. Various enforcement agencies, including the U.S. Securities and Exchange Commission and the Federal Reserve, have different rules for what details of deals they release and what that keep confidential. The bill directs agencies with more stringent disclosure standards to explain why they must keep a settlement secret. It also asks the Government Accountability Office to examine how agencies deem settlements confidential and provide ways to make the process more transparent. Warren, the architect of the new U.S. consumer watchdog agency, has been critical of regulatory settlement practices and has urged enforcers to take more cases to trial.